Description - Grove ceramic tiles feature an attractive European influence that is sure to add beauty to any room. In multiple colors options, you are sure to find a glazed ceramic tile that is perfect for your needs. 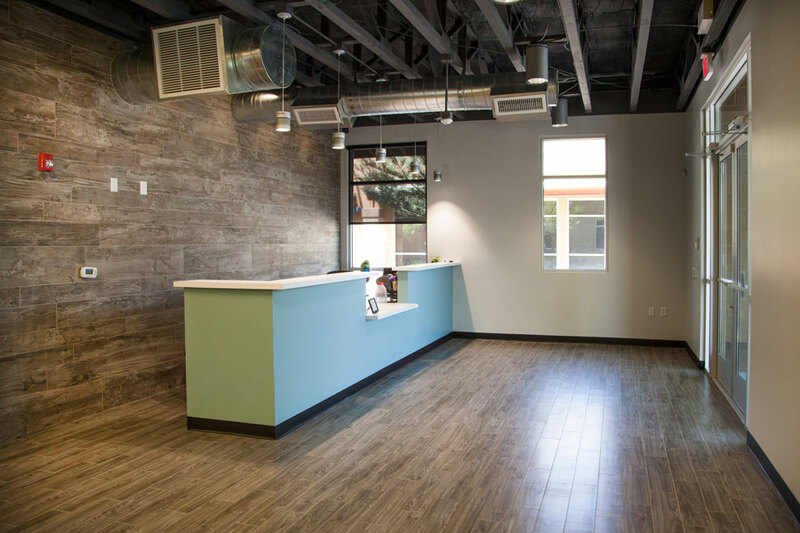 Highly durable, ceramic floor tiles can be installed in a variety of spaces, unlike solid hardwood, and are incredibly easy to install and care for. Size – 6" x 24" tiles. Application – Floors and walls. Breaking Strength – >400 lbs. Suggested Patterns – Grid, off-centered offset, or diamond. Weight – Each 6x24 case weighs ~62 lbs. Recommended Uses – Grove tiles have been successfully installed in living rooms, bedrooms, dining areas, home offices, dens, kitchens, and more. Medium shade variation from tile to tile. Low cost alternative to natural wood floors. The photo shows the flooring in Villa and the wall behind it is the Daltile Season Wood. We love the wood looks.